On Wednesday, May 23, 2018 at 10:00 AM, in a two part ceremony, the Maryland Institute for Emergency Medical Services Systems (MIEMSS), the State agency responsible for the delivery of trauma and emergency medical services in Maryland, will honor children from across the State and also present its annual Stars of Life Awards to honor Emergency Medical Services (EMS) personnel, EMS programs, and citizens. The awards will be presented in the Miller Senate Office Building, President’s Conference Room, East I, located at 11 Baden Street, Annapolis, MD. The first part of the award ceremony will honor children whose actions have ensured that people in Maryland receive “the right care when it counts.” These children have assisted in providing a lifesaving service to someone in their community. During the next portion of the ceremony, MIEMSS will present their annual Stars of Life Awards that honor citizens, EMS personnel, and EMS programs statewide. The EMS Award presentations are part of Maryland’s observance of National Emergency Medical Services (EMS) Week 2018 (May 20 - 26, 2018). This is a national celebration to honor approximately 750,000 EMS providers nationwide. This year, the theme is “EMS Strong: Stronger Together." This year’s theme reflects the idea that EMS providers work as a dedicated team with a true calling and drive to help others in need. Governor Hogan has issued a Proclamation declaring this as EMS Week in Maryland. The Prince George’s County Fire/EMS Department is slated to receive two awards. Fire and EMS Department’s innovative program to train the public in hands-only CPR, with a goal of ultimately improving cardiac arrest survival. 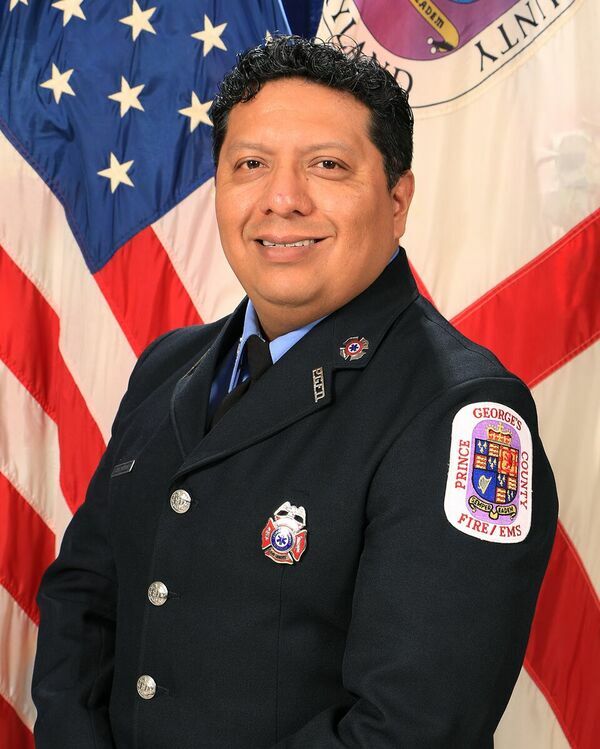 In 2017 Fire Fighter/Medic Paucar was instrumental in training over 7,800 county residents and visitors through this program, often enlisting the help of other dedicated EMS providers. In addition, being multilingual has helped FF/PM Paucar expand the program to include Spanish-speaking training aides and Spanish language literature. In addition, FF/PM Paucar was pivotal in developing data reports that help the department improve the delivery of patient care by streamlining the process for collecting and reporting data on cardiac arrest patients, providing important feedback to Prince George’s County EMS supervisors and providers. The Prince George’s County Fire/EMS Department will also be recognized along with several other jurisdictions with a MIEMSS Special Award for our Mobile Integrated Health program. These programs and individuals are being recognized by MIEMSS for their efforts in promoting Mobile Integrated Health programs in Maryland, contributing to overall patient health in addition to reducing health care costs and enhancing delivery of medical services to Maryland citizens.